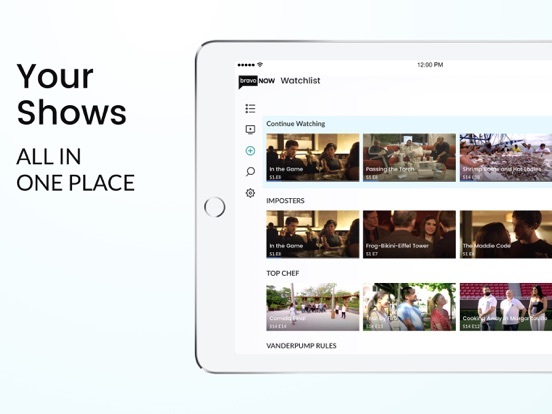 Bravo Now is the best place to catch up on the most recent season of your favorite Bravo shows, watch live TV, and stream on the go! 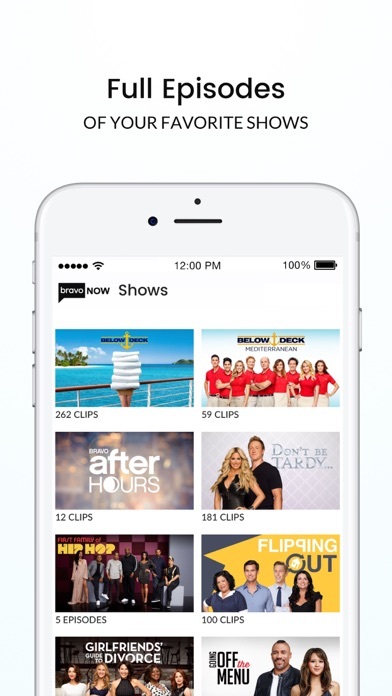 Download the Bravo app now to watch full episodes of The Real Housewives, Watch What Happens Live with Andy Cohen, Southern Charm, Below Deck, AND MANY MORE! 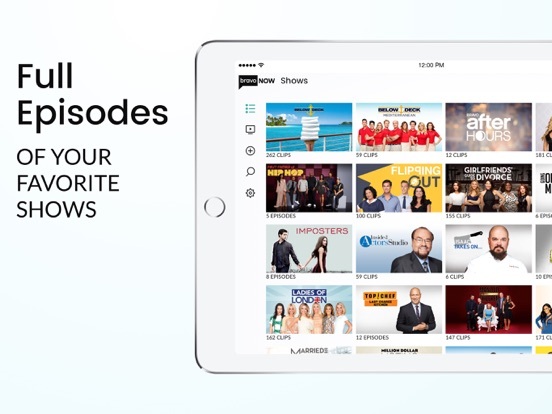 Get started by signing in with your TV subscription (cable, satellite or digital). Bravo Now supports most TV providers, including DirecTV, Xfinity, Spectrum, AT&T, and Verizon. If you do not have a TV subscription you can still watch up to 3 full episodes of your choice for one month. 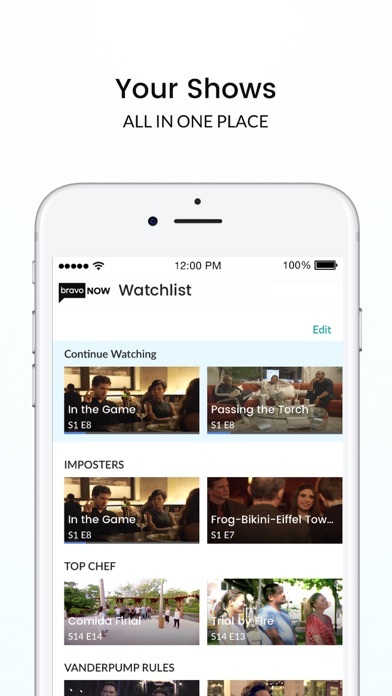 -We made enhancements to Google Chromecast.